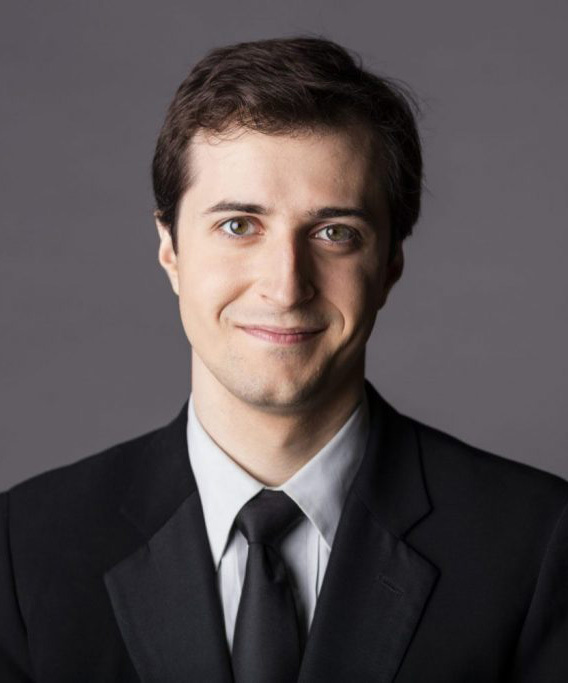 A native of Minneapolis, 23-year-old pianist Kenny Broberg won the silver medal at the Fifteenth Van Cliburn International Piano Competition for performances that showed "an imaginative shaping of themes, revelation of inner voices, and an unfailing sense of momentum" (Texas Classical Review). His 2017-2018 debut season as Cliburn medalist includes a recital tour in Hawaii, a return to his alma mater, the University of Houston, for its annual Texas Music Festival, and orchestra and recital engagements in Denver, New Orleans, West Palm Beach, and other cities across the United States. In Europe, Mr. Broberg appears with the Rye Arts Festival and Hastings Philharmonic in the United Kingdom, and in recital in Italy. His debut solo album was released by Decca Gold in August 2017, as part of his Competition prizes. The first musician in his family, Mr. Broberg started piano lessons at age 6, when he was first fascinated by his mother's upright wedding gift from her parents. He studied for nine years with Dr. Joseph Zins before entering the University of Houston's Moores School of Music, where he earned a Bachelor of Music degree with Nancy Weems in 2016. He currently resides in Parkville, Missouri, under the guidance of 2001 Cliburn Gold Medalist Stanislav Ioudenitch at Park University.